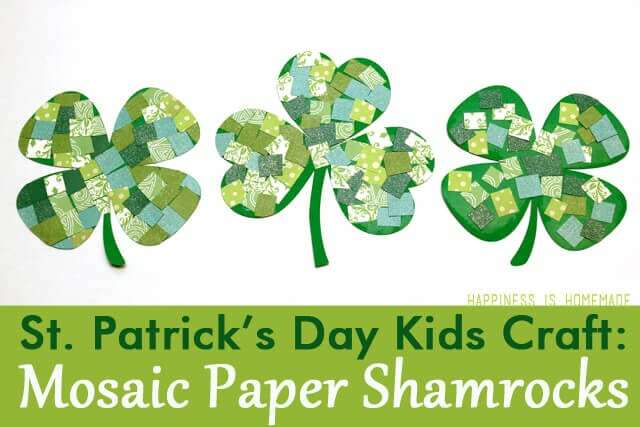 This St. Patrick’s Day Word Search printable puzzle is a ton of fun for kids of all ages! Perfect for teachers, families, classroom parents, Scout leaders, and more! 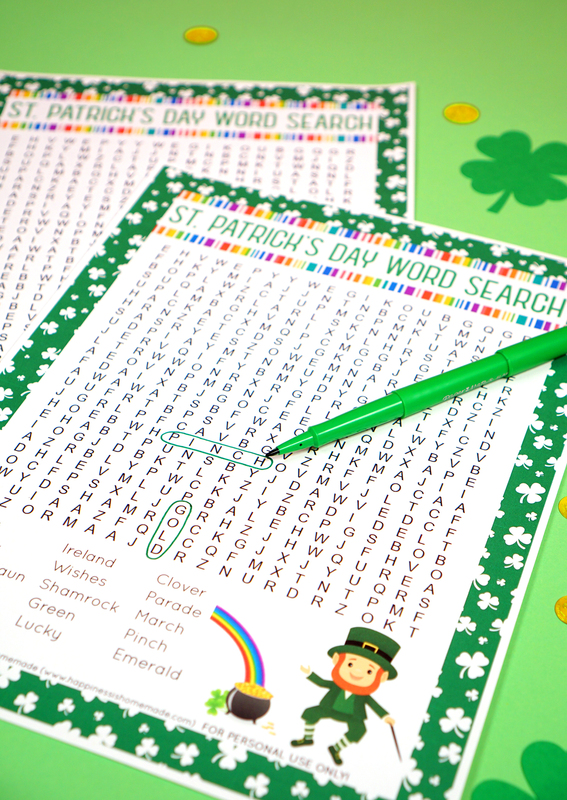 Kids and adults alike will love this printable St. Patrick’s Day word search! You know how much we love our word searches around here, and since St. Patrick’s Day is just around the corner, that means it’s time for another holiday word search printable! 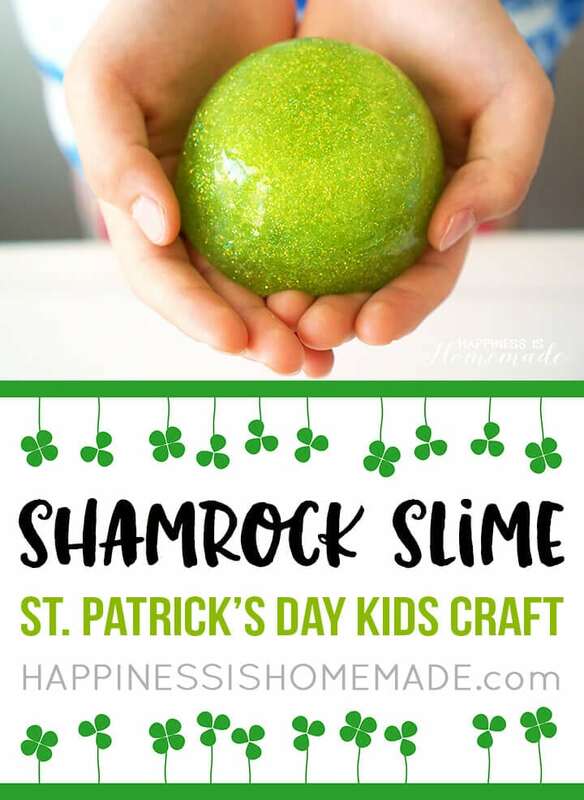 We’re celebrating the Luck O’ the Irish with this fun St. Patrick’s Day printable word search that’s perfect for elementary-school-aged children and older – even the grown-ups will have fun with this one! 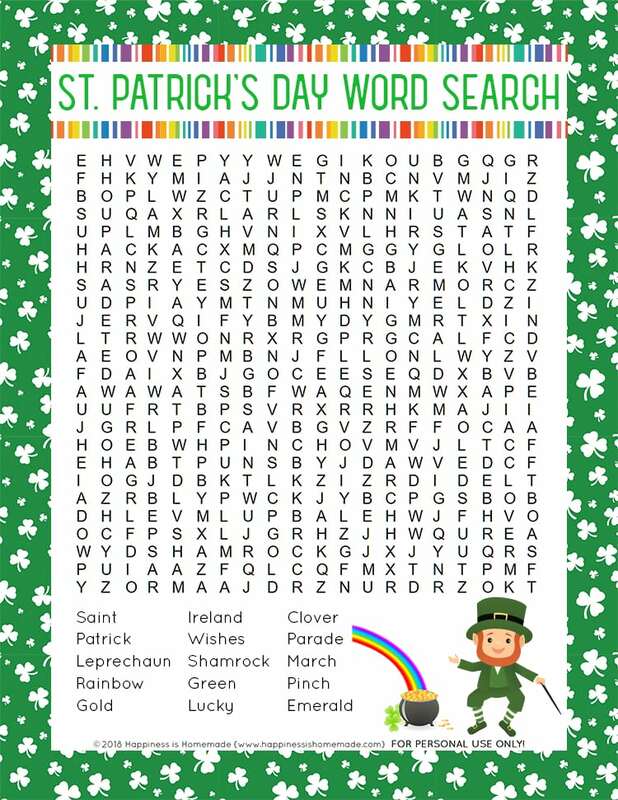 Seek and find fifteen St. Patrick’s Day words in this cute word search puzzle. Word search puzzles are a great workout for your brain! Word searches and other word puzzles help your brain filter words into recognizable patterns which in turn helps you to find order and create meaning. These puzzle solving skills can directly translate to other areas of your daily life, boosting communications skills, and helping to keep your mind mentally sharp. Word searches are also beneficial in helping with spelling, vocabulary, and teaching children how to assess context clues. Word searches and other similar puzzles have also been proven to help increase memory retention and concentration in people of all ages. Not to mention that they’re lots of fun, too! Fun games + brain boosting sounds like a win-win situation to me! 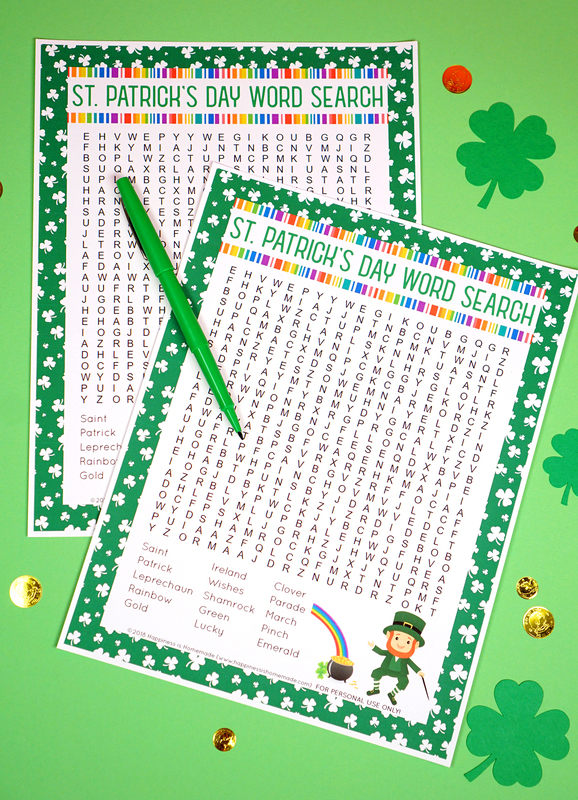 This St. Patrick’s Day word search is sure to be a huge hit with kids of all ages, and it’s perfect for classrooms, playgroups, Scout meetings, and more! 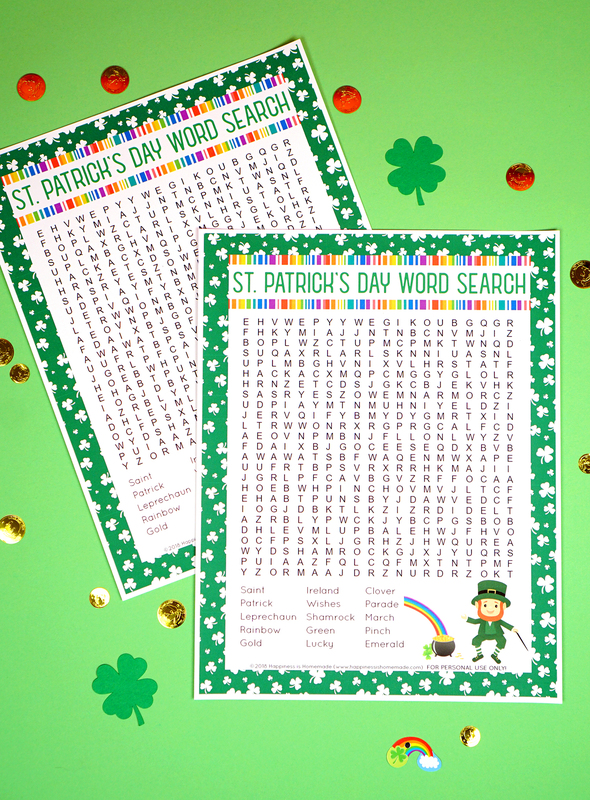 Pin the St. Patrick’s Day Word Search for Later! This looks like fun! I think I will take these for our car ride up to MN next weekend! Love me a good word search, these themed word searches are so cute!